We manufacture Toyota Landcruiser Bonnet Louvers. 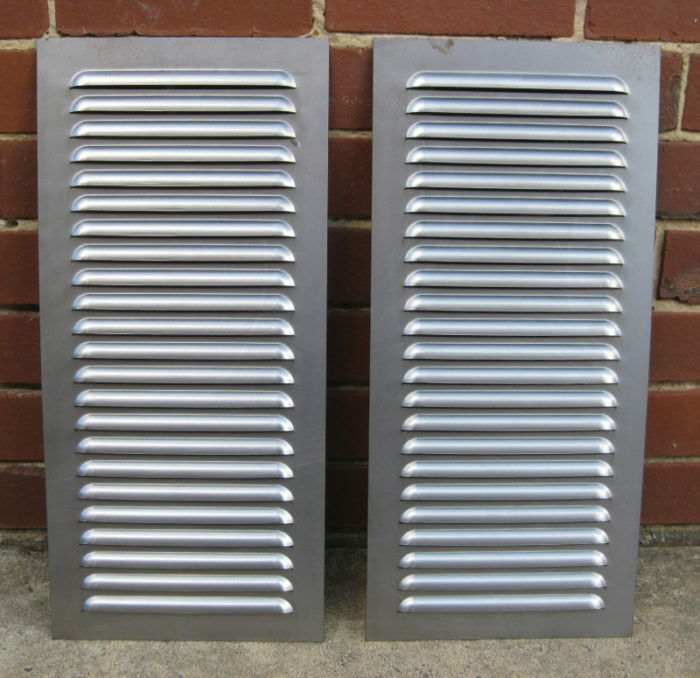 These louvers can be placed on the bonnets and can help remove excess heat from the engine to increase performance and prevent breakdowns, especialy in remote areas. Overall Individual Panel Size = 560mm x 260mm. Louver Size = 200mm wide louvers. Louver Material = Steel (1.0mm thick, so very strong and not flimsy). Louver Style = Square /Rectangular - 90 degree corners. Louver Weight per pair = 2.3 kg approx. (Shipping dimensions and weights = 57cm x 27cm x 3cm approx. Wgt = 3.5kg approx).